In this installment I discuss what I have learned from a series of books that will help you get motivated to improve your financial life. Those books are Think and Grow Rich by Napoleon Hill, Thoughts are Things and You Were Born Rich, both by Bob Proctor, The Entrepreneur Rollercoaster by Darren Hardy and JV Crum’s book Conscious Millionaire. Each of these books taught me that successful people have big visions. In fact, these visions are so big that they don’t know at the time how to achieve their goal. What they do is allow themselves to picture in their mind already having accomplished their goal. By continuously doing this, they will allow their subconscious mind to see that vision and work out a plan for accomplishing that goal. This opens up their creativity and attracts positive energy that fuels their passion. In this installment, I talk about the power of performing this exercise to help motivate you and encourage you to believe you can achieve financial success. 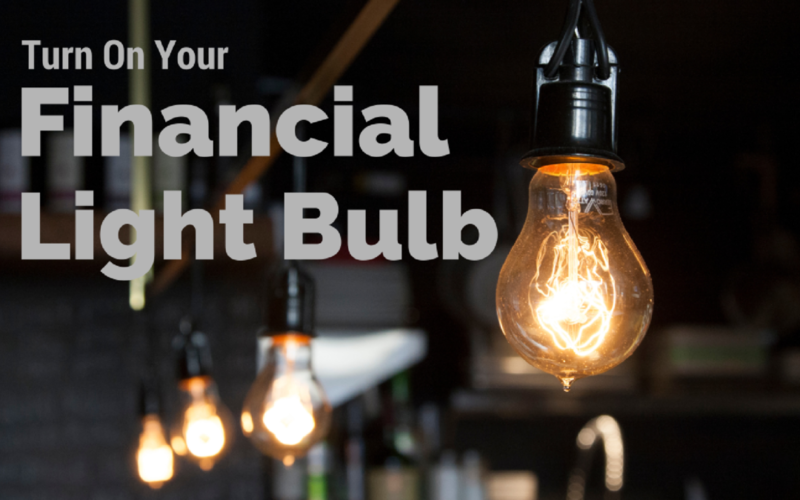 Allow yourself to turn on your financial lightbulb in your mind and tap into the tremendous energy that comes from having the confidence you can succeed.